A Chronology of Eco-friendly Carpet Cleaning. Carpet and rug cleaning, in general, has endured numerous growing pains in its decades of evolution. I would like to share some thoughts on how the industry as a whole and Green Ingenuity specifically, has strived to become eco-logically and socially responsible. 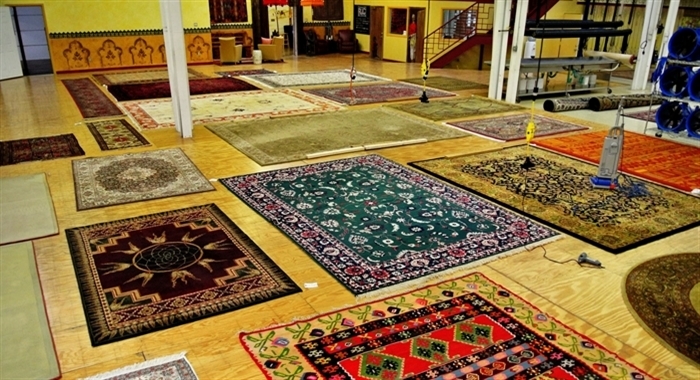 Ever since people first laid rugs and carpets or hung tapestries in their homes, there has been a need for an effective way to clean them. And often, we have wanted someone else to clean them. Over centuries, the carpet cleaning industry has grown from humble origins of mostly self-cleaning done by servants to a multimillion-dollar service industry with companies that come to your home or offer in-plant cleaning or supply equipment you can rent at your local supermarket. Up through the mid-1800s, methods for cleaning carpets mostly involved beating the dirt out of the carpets with a carpet rod or rattan rug-beater or simply using a stiff-bristled broom. Carpets were cleaned by removing them from the room and beating the dust from the reverse side of the carpet to push grime out of the place where it had become embedded. Although some beating devices were designed that helped make the job of removing dirt from carpets less strenuous, for the most part rug beating was a very labour intensive and messy process. By the late 1880s, carpet sweepers appeared. In the early 1900s, carpet cleaning became a door-to-door business. The very first equipment was so large it was drawn by horse and parked on the curb outside of the home or business being cleaned. The first vacuum cleaners for personal use came shortly thereafter in the 1920s but were very expensive. It would still be decades before many households could afford a vacuum cleaner. We find the history of the vacuum cleaner to be very fascinating. Did you know that the first vacuum cleaner was built in the mid 1800’s? In fact, the original vacuum cleaner was invented prior to the US civil war. Daniel Hess of West Union, Iowa, invented a carpet sweeper in 1860, calling it that instead of a vacuum cleaner. His machine did, in fact, have a rotating brush like a traditional carpet sweeper, and also had a mechanism to create suction of dust and dirt. In the years that followed, there were some other designs, but the first real success story comes about 20 years later. That is when a man named Melville Bissell invented his push version of the vacuum cleaner for his wife. The Bissell name is still going strong to this day. Melville’s vacuum cleaner was so popular that he started the Bissell company and later his wife ran it and became one of the most successful business women of her day. Although Bissell’s design was a step up and was successful, it still wasn’t quite what you think of compared to the vacuums that we use in our homes today. Never the less it was pretty remarkable for the 1870s. Over the following years there were many attempts to make a better carpet cleaning vacuum, but it was James Spangler in 1907 that ultimately invented a piece of equipment that resembles what we use in our homes and businesses today. It was portable, used suction, had a bag for the dust and debris that was sucked up (made using a pillowcase), and had a rotating brush to help loosen and lift the dirt from the carpet. Unfortunately for James, he did not have the resources or wealth to bring his product to fruition and decided to sell to his cousin Hoover. Today, Hoover is still going strong in the vacuum cleaning business and most of us recognize the name. We can also thank Spangler for helping with the invention of the disposable bags that are still use in upright vacuums. Carpets were occasionally cleaned by washing. There were many homemade formulas for cleaning carpet, including a combination of water and beef’s gall. In case you are not up on beef’s gall, I will enlighten you. It is the bile of cattle which is evaporated until dry. It retains its original smell and characteristics. After hearing this, I was glad that I live in the day and age of carpet cleaning products that are created and tested in laboratories. In 1947, hot water extraction was invented. Though consistently improved over the last half a decade or so, hot water extraction has continued to be the leading method. It is hard to believe that a $2,000 portable unit and a $70,000 direct drive truck mount fall under the same classification, but they do. From supermarket rental machines wielded by homeowners to the advanced truck-mounted units employed by professionals, the hot water extraction industry continues in full swing to this day. There have been other attempts to improve on the carpet cleaning industry such as dry cleaning, foam cleaning, rotary cleaning, etc. Each of these methods sparked interest when they first came out and popularity of each declined just as fast as they rose as the cleaning results were invariably disappointing. Even with the bad publicity of cheaper portable machines, the positive results of high end hot water extraction truck mounts has maintained the vast majority of the carpet cleaning industry with no signs of slowing down. In some ways the carpet cleaning industry is still a door to door industry. In the early 1960′s, another “new” system hit the market; “Steam cleaning”. While technically, water is vapor anytime it is warmer than the surrounding atmosphere this really isn’t what we would call live steam. Water does vaporize (steam) when it is warmer than ambient air and so the machine became widely known as steam cleaners; very misleading. Live or super-heated steam may damage carpet dyes or heat set yarns. Technically, this method should be described as hot water extraction. Actually, steam cleaning systems, as hot water extractors, go back to the late 1700′s. The early 1900′s saw several systems that worked on the same principle. It was not until the 1960′s that it was refined sufficiently for general use. Again, the first workable “steam” cleaning units were in plants operated by cleaners.